My experience with Flawless Website Design has been out of this world. I highly recommend this business to anyone who wants top notch customer service, excellent communication and knowledgeable people to help them build an unforgettable website. I am so happy with the results and I appreciate the time that Mario took to really make my store pop with all his tech savviness, his talents really show through. I am forever thankful and beyond content that I went with Flawless Website Design. 5 Stars all the way across the board!! I am one happy client. Samantha V.
50 Shades of forever clothing is now able to sell their clothing and accessories with their own custom platform. Writers and book lovers are now able to submit their stories and writing to the expressions blog. Keep up with the latest happenings over at 50 shades of forever in the blog as well. 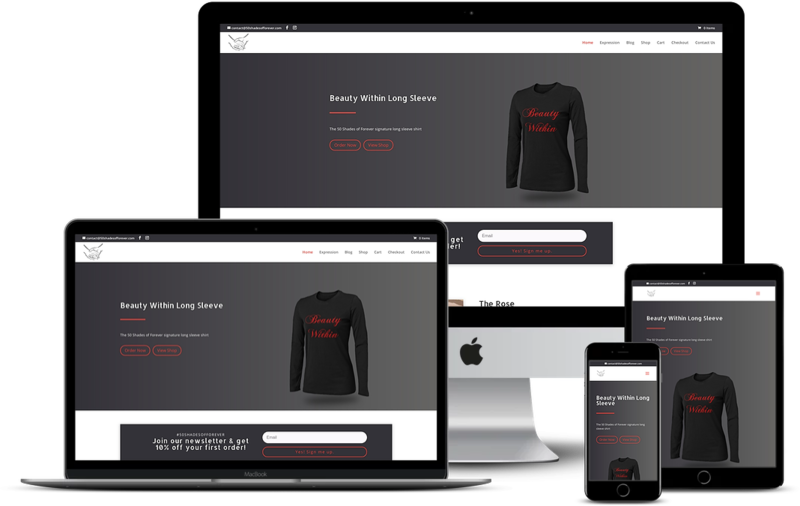 With this customized, distraction-free cart page, and optimized checkout page, we provide the 50 Shades of Forever customers with a smooth checkout experience. 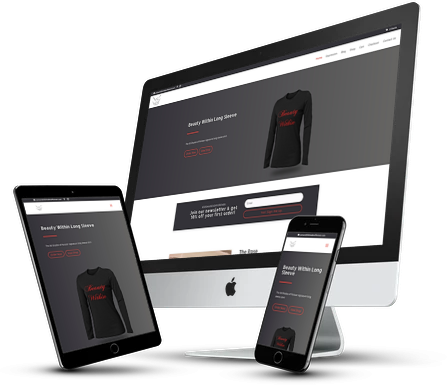 When Samantha contacted us, she was in need of a website design to display and sell her clothing line. 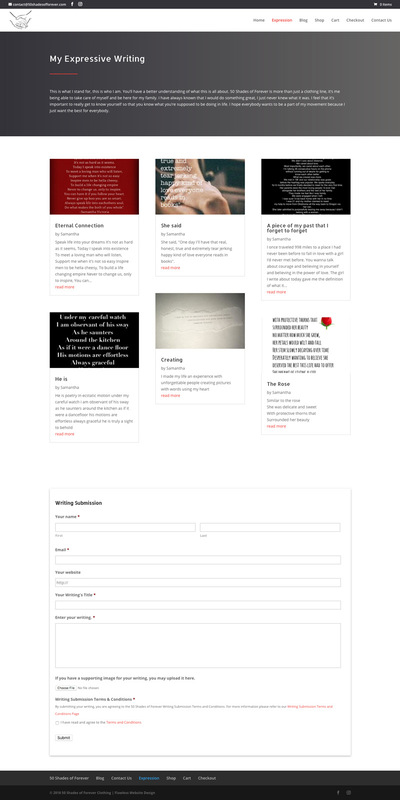 We created a custom portal for her visitors that enjoy writing so that they could be able to submit their writing in the form of custom blog posts.  We took our time to develop the website so that it is engaging, has the right functionality, and matches the brand vision. 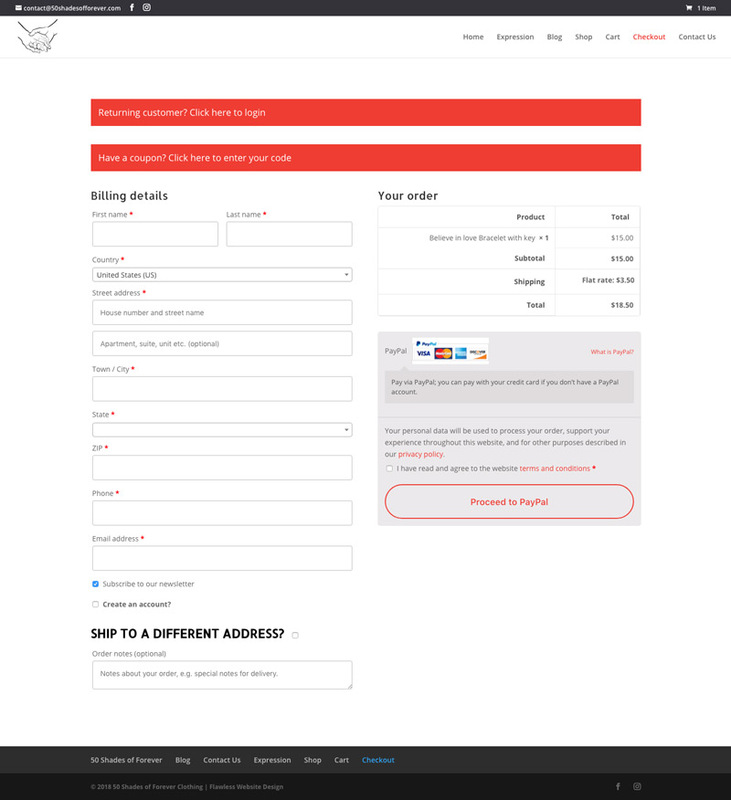 We created a custom email template to match their brand with their colors and logo. Now, when they send out an email blast, it looks professional.